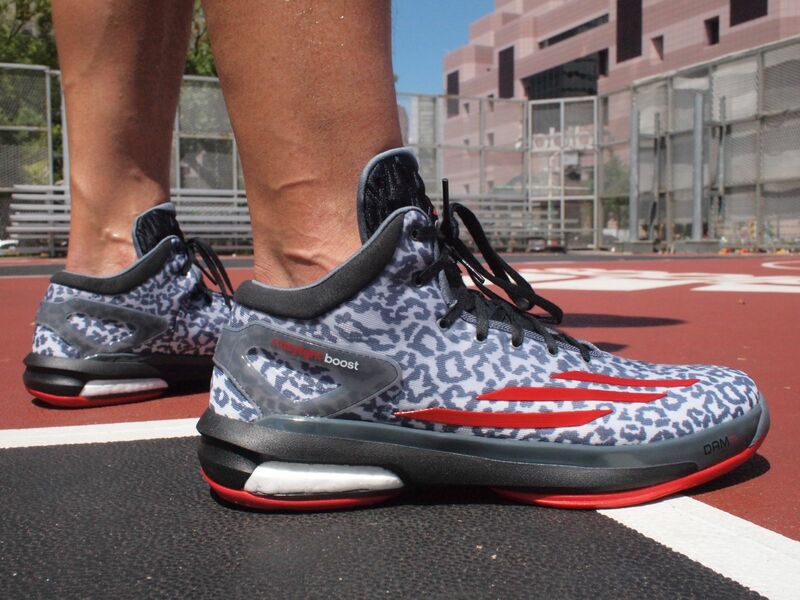 Adidas Crazylight Boost looks simple and cool, this with gray leopard print look so low profile , adidas’s three red lines with a reverse angle, like fierce claw marks. 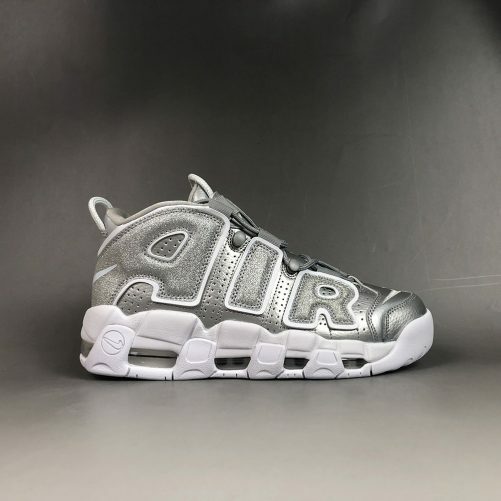 In addition, this shoes followed the Crazylight series which used the lightweight material, and only 329 grams for single shoes , that is really lighter compare with others . Overall, it gives people a speed, light and amazing visual experience! 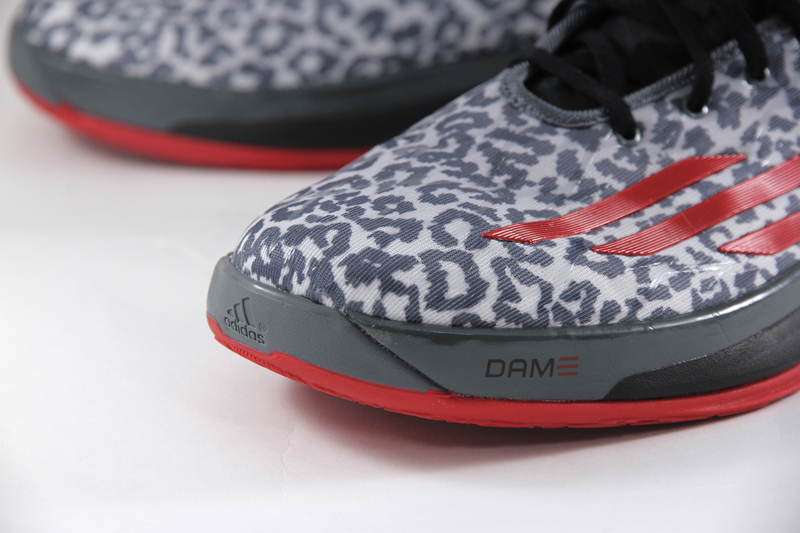 The front of the sneakers has the Adidas LOGO, and the front side has the words DAM, which is the abbreviation of Damian Lillard, It means star’s exclusive shoes. Although I personally like him very much , I have to say that Lillard is my favorite young generation guard. 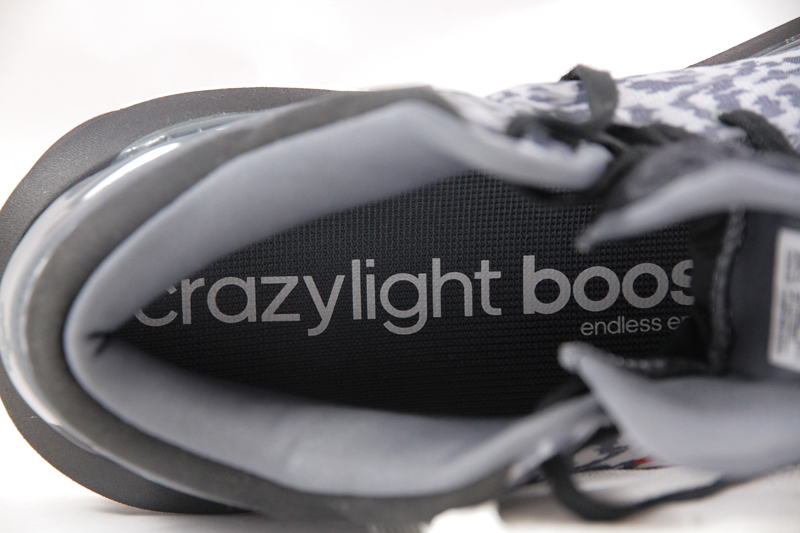 From the side of Crazylight Boost , you can find that the white BOOST material focuses on the heel that most needs to be shock-absorbing.That is the cushioning . 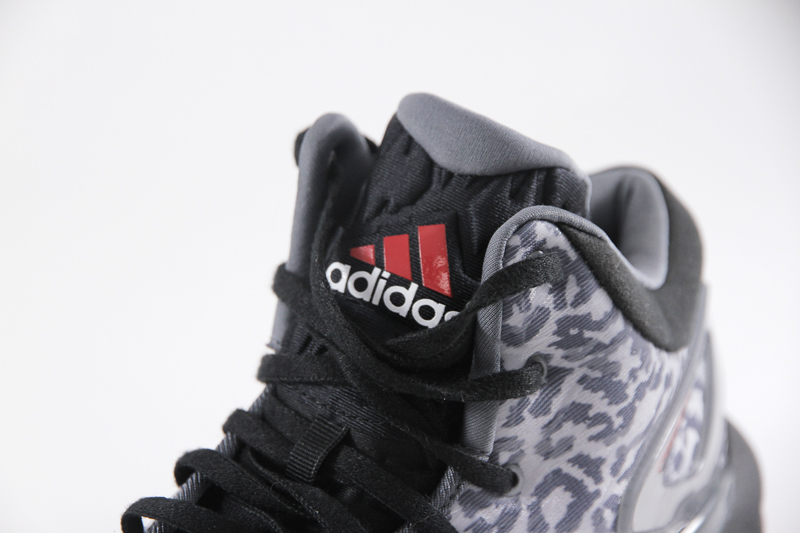 The white styrofoam-like BOOST technology material can be seen in the midsole, and the heel also has the same supporting structure as the running shoes to strengthen the heel. 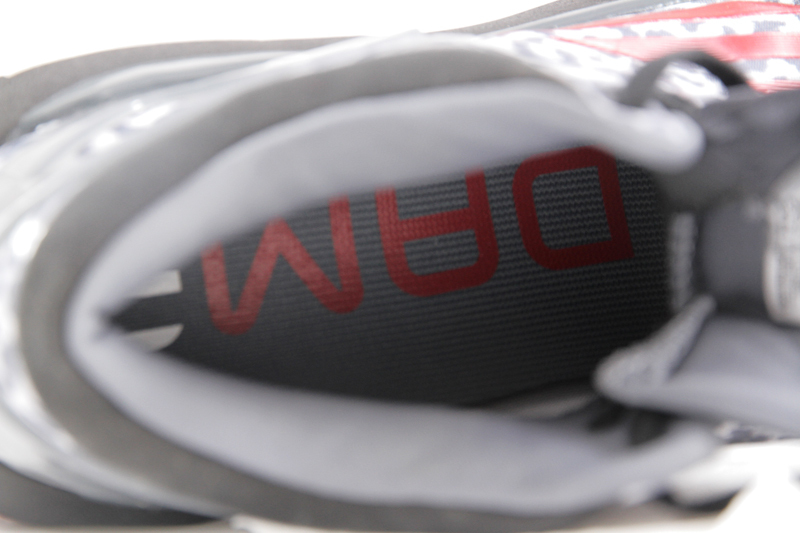 The midsole can be seen in the STABLEFRAME type. This part is quite tough to the touch. 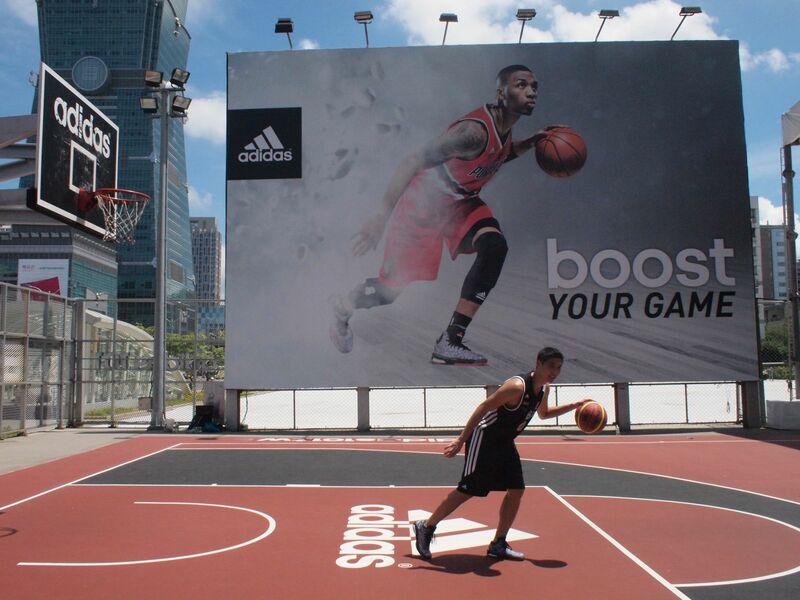 Compared with the soft responsive of BOOST, it provides a sense of stability when the basketball player turns sharply. 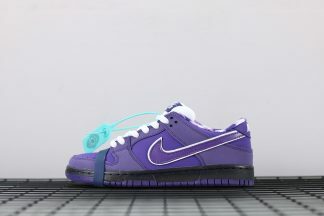 The front tongue and the ankle is much higher than the upper, and the laces can be tied to the top to provide enough protection in front of the ankle. 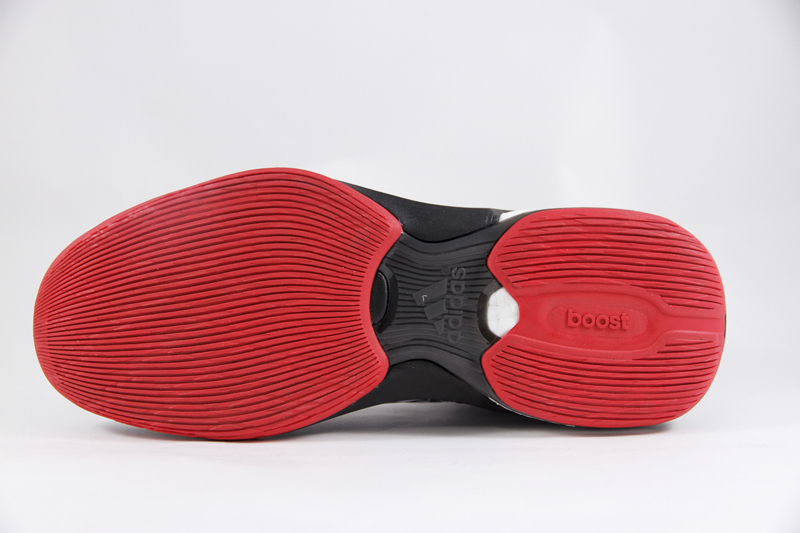 For the traction , the grip just so so .You can find the word BOOST on the traction, the stops are harsh and quick, to the point it almost makes your foot roll over the footbed. 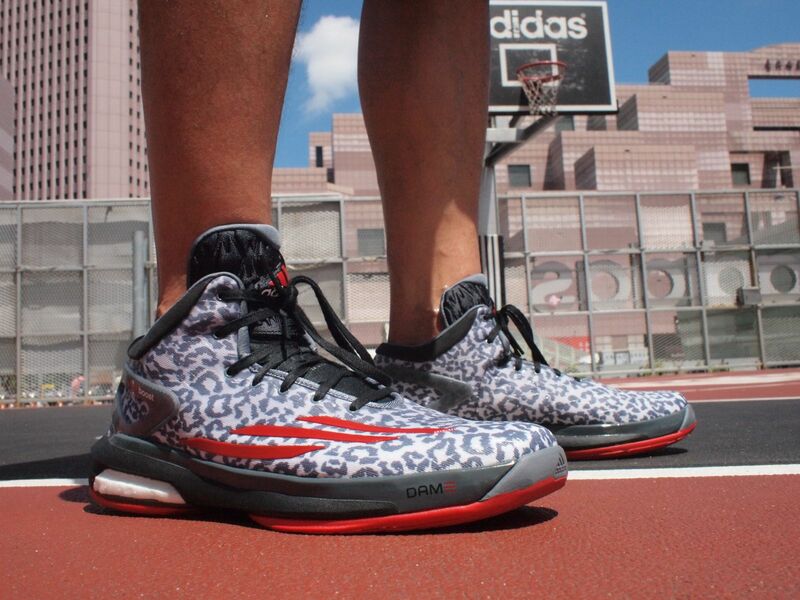 Some people say that Crazylight Boost has only straight lines and the grip just so so. If you look at it carefully, there are diagonal lines, but even if you can’t change the fact that its grip is not outstanding, you don’t feel bad when you wear it. 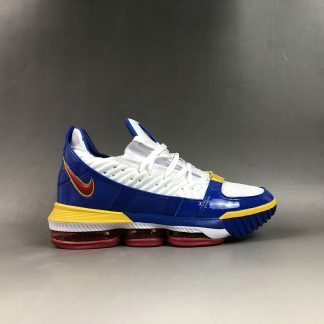 Just like the feeling of sticking to the ground compared to the previous one, you can only feel the basic grip from the outsole, and you may be disappointed if you likes the Crazylight series in the past. In addition, everyone is also very concerned about the durability problem. First of all, because the texture is shallow, so the worn of traction will happened (maybe playing after about 1.5 months, about 10 indoor games, outdoor 3 times + 4 hours playing time, so the traction worn lot . )but be honestly, I don’t think it’s serious. This part will be followed by further observations. There are DAM logo inside. Meaning the Damian Lillard. 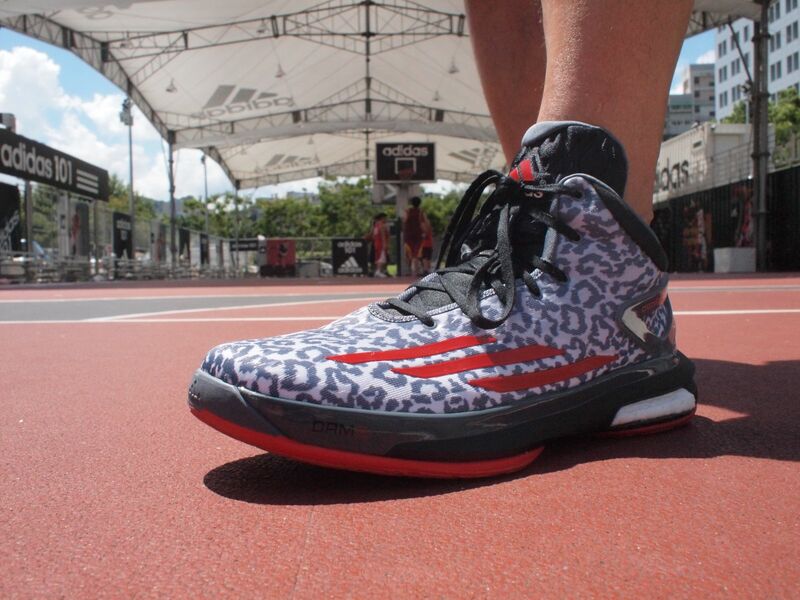 At first, I didn’t get used to wearing Crazylight Boost. 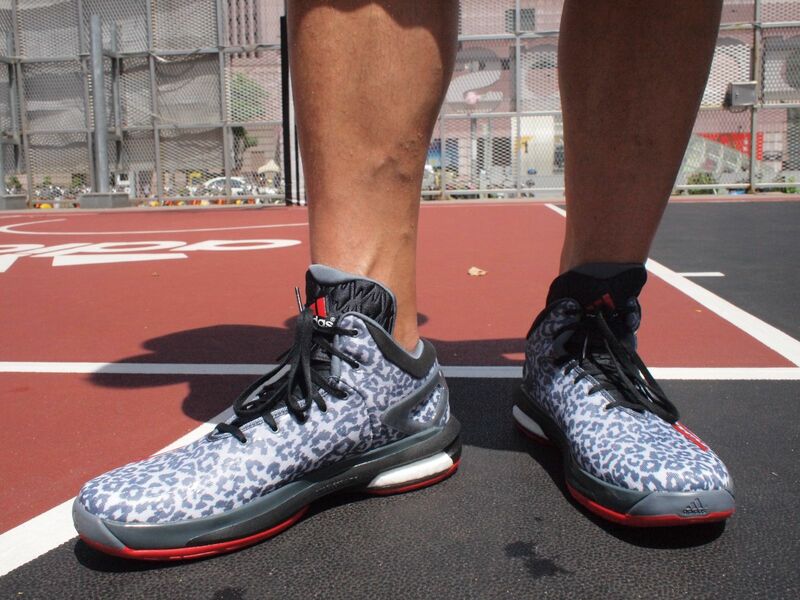 Because I like low type basketball shoes, I felt a little pressure in front of my ankle when I put it on, so the top shoelace was not tied. But in the end, I feels more comfortable and protection, and there is no feeling of strange feeling. 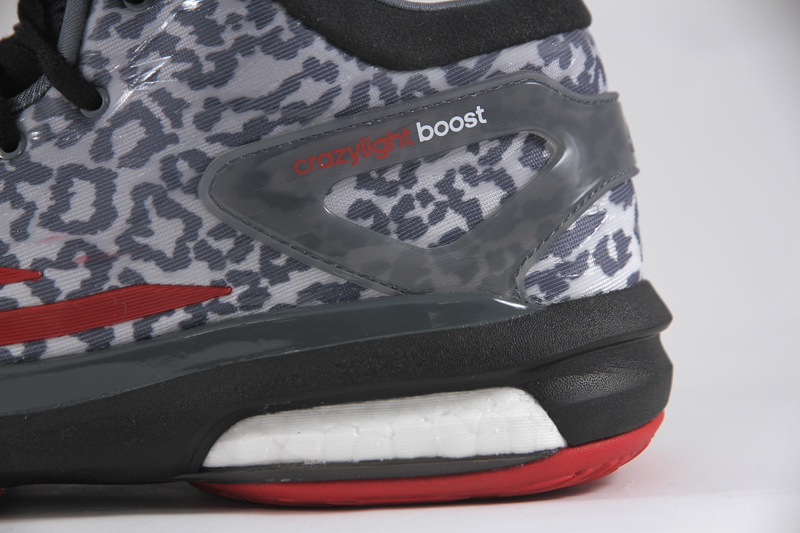 There is a fused area around the inside of the toebox to help with toe drags and durability and some additional fuse. 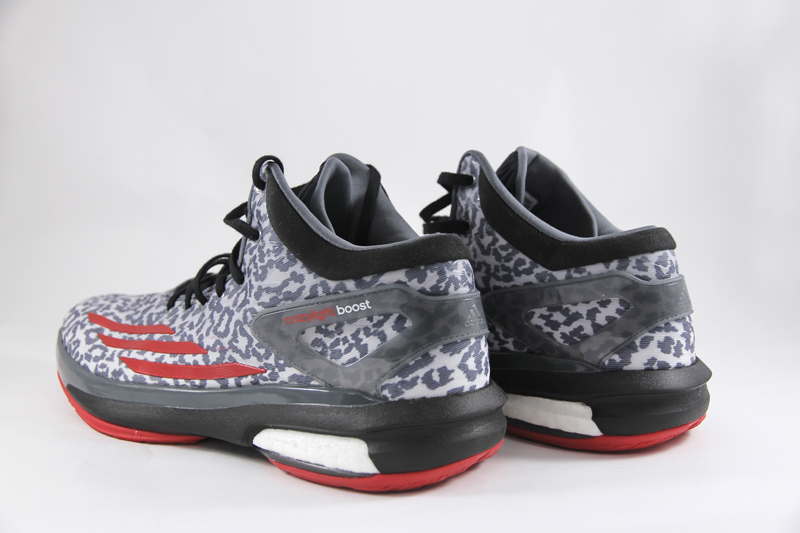 Especially experience the feeling of BOOST, although the foot feels not as obvious as the Energy Boost running shoes, but the heel still has soft comfort, and only 329 grams for one single shoes ,it is will be lighter. Techfit is a great part. 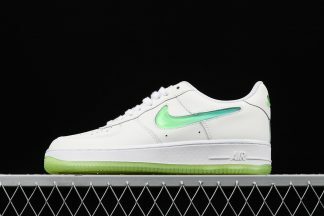 From the use of clothing to the performance of shoes, the performance is very good. The elastic characteristics make the tongue feel very good, especially when you put the shoelace tightly after putting it on. If you can feel the tongue can warping well. Here is a special mention. One of the friends said that there is a little pressure between the tongue and the feet, but some others won’t happened , maybe it is speculated that it should be a foot problem. 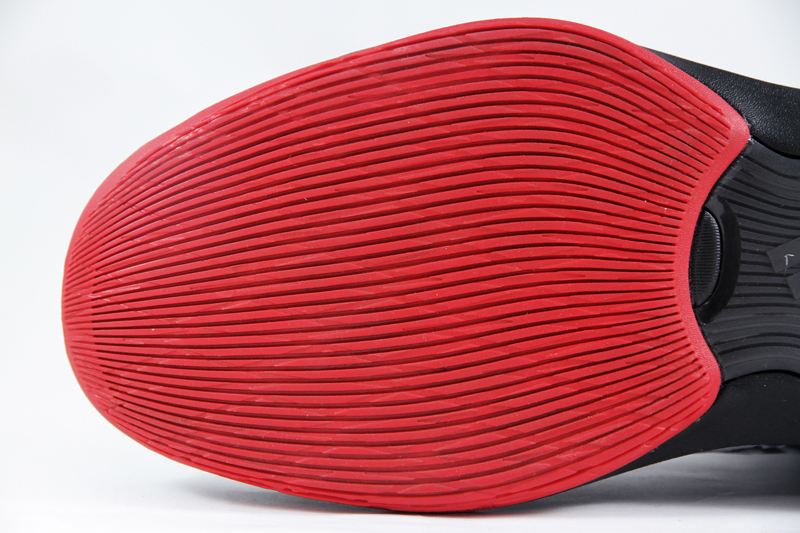 When stood on tiptoe, the upper and the sole are very soft, and the instep can be easily bent to make an acceleration.So the material is softer and nice . 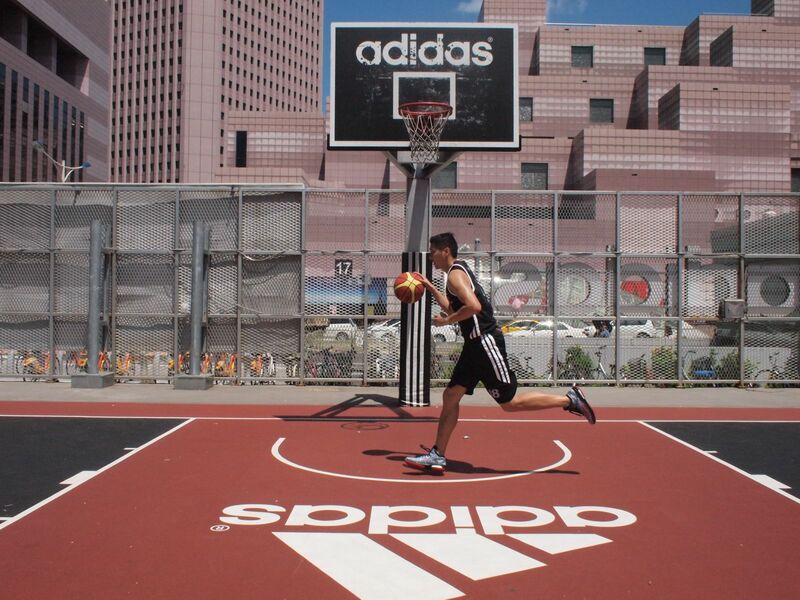 Fast running and move direction can be said to be an indispensable step of basketball, regardless of defensive and so on , so I also tested this part of the performance. 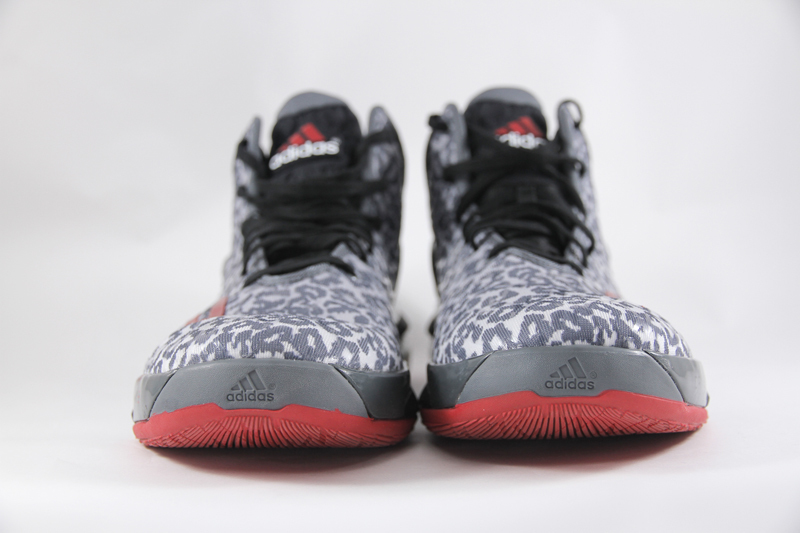 Because the sole is dominated by straight stripes, even in the outdoor court, Crazylight Boost provides a good responsive and wrapping. 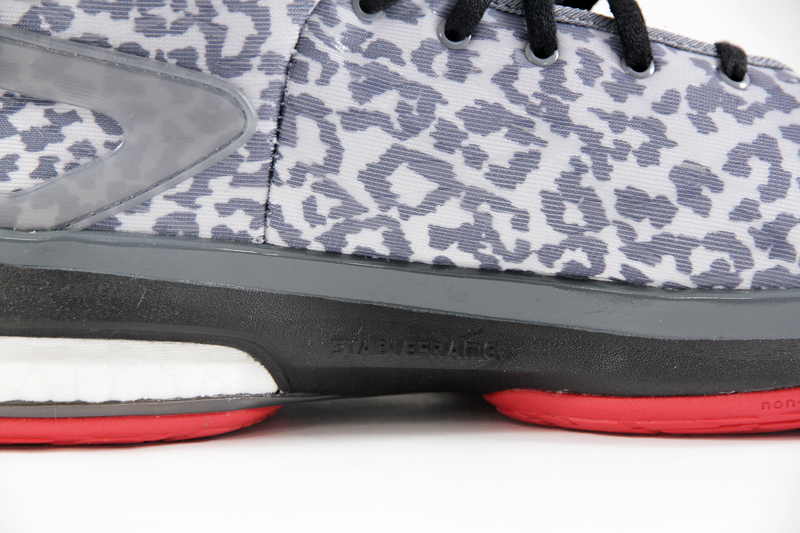 and the upper is durability . 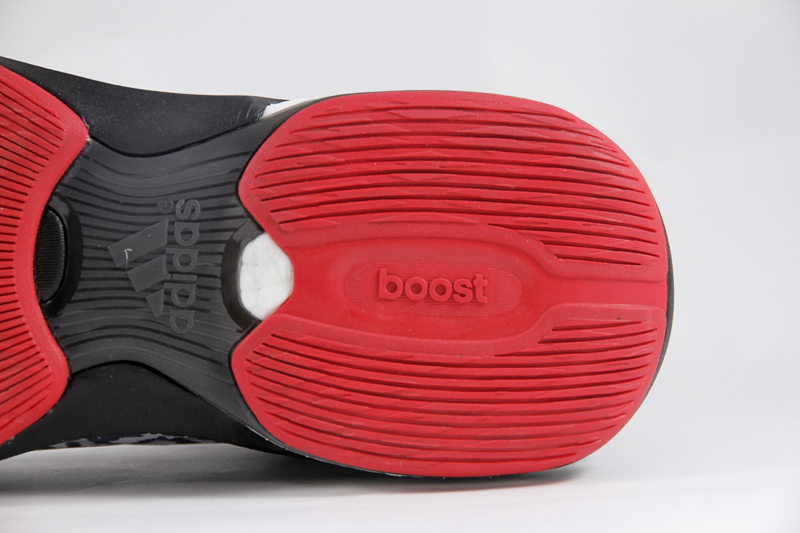 The part of the heel BOOST is also stable and there is no risk of drifting at all. 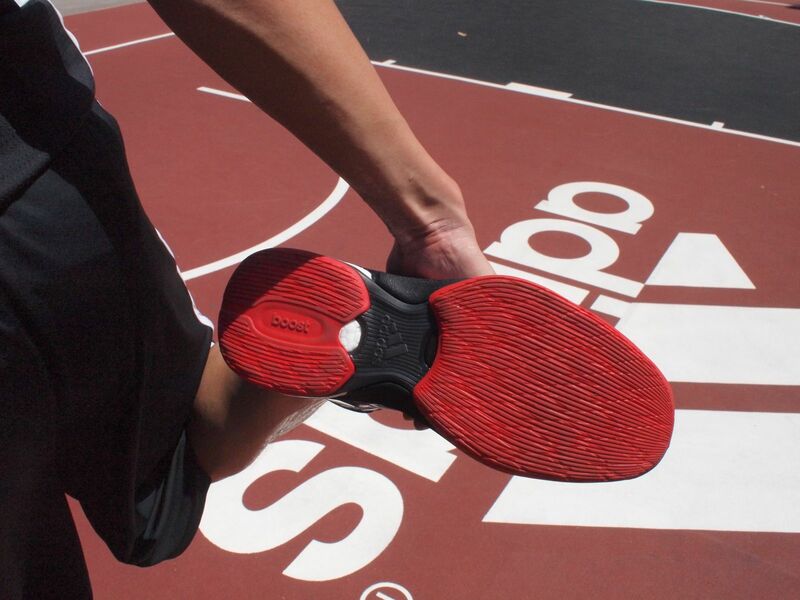 The cushioning is amazing. 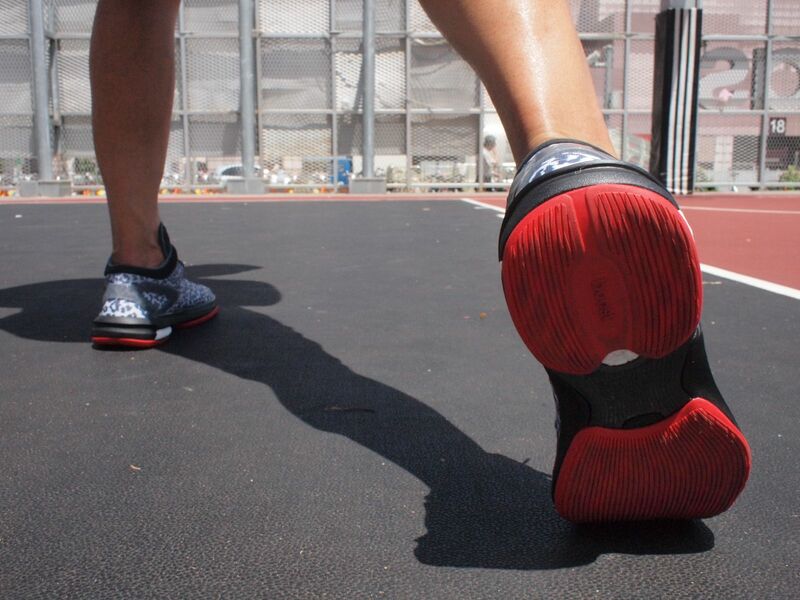 Because of the stability of basketball shoes, so sacrifice the area and performance of BOOST material, but the heel still has Protected cushioning. 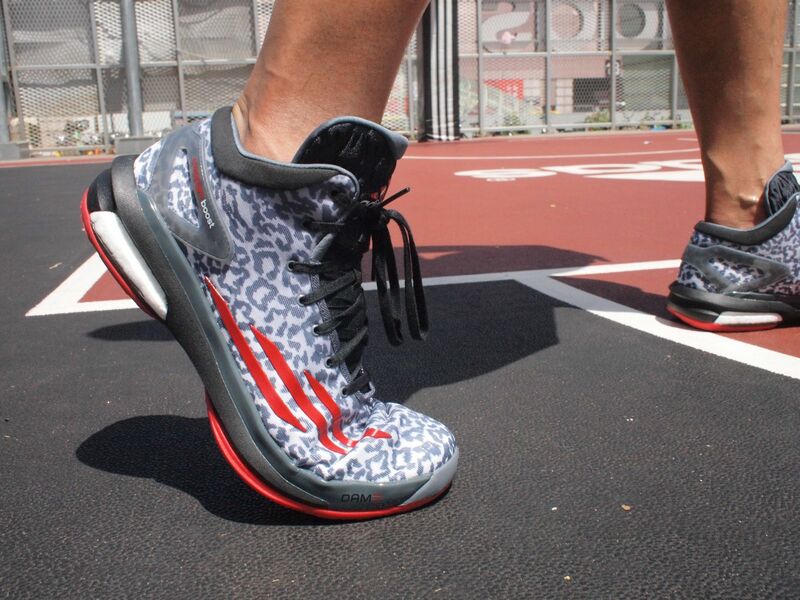 The foot is very light when sprinting, which can save a lot of effort for running on the court for a long time. 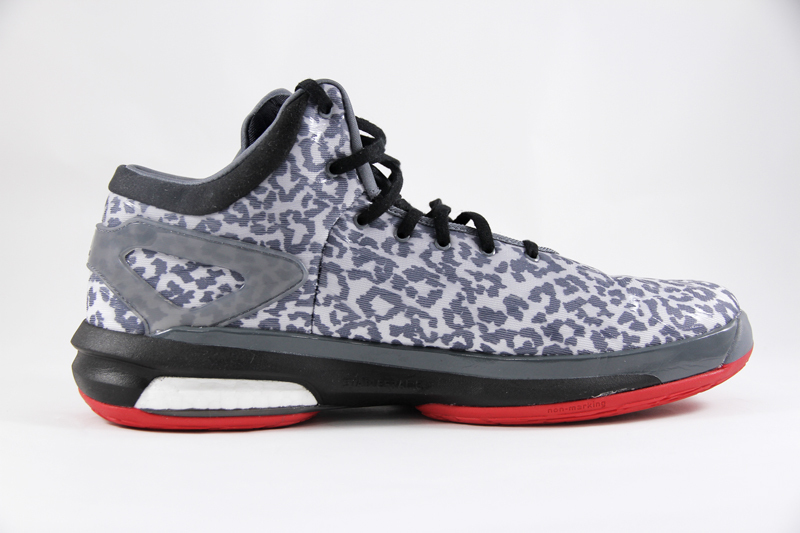 Boost material, midfoot TPU and StableFrame shoulder the stability task of adidas Crazylight Boost. 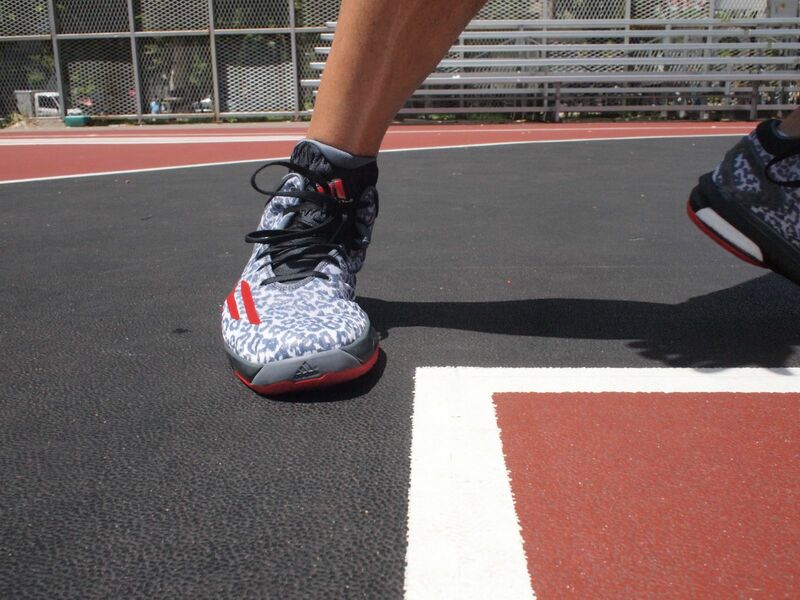 I am very much looking forward to whether BOOST can make me jump higher. 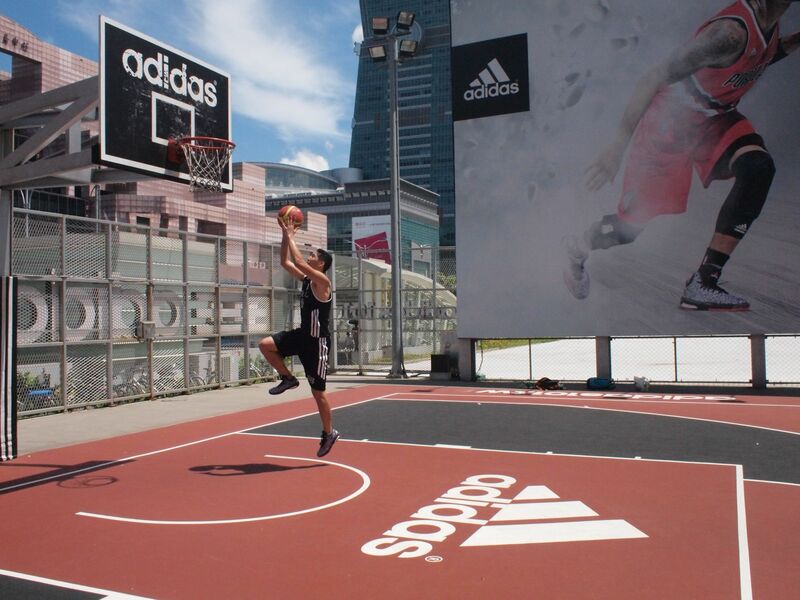 Although the impact is limited, the ultra-lightweight of Crazylight Boost and the flexibility of BOOST technology definitely make me jump more than 0.5mm. 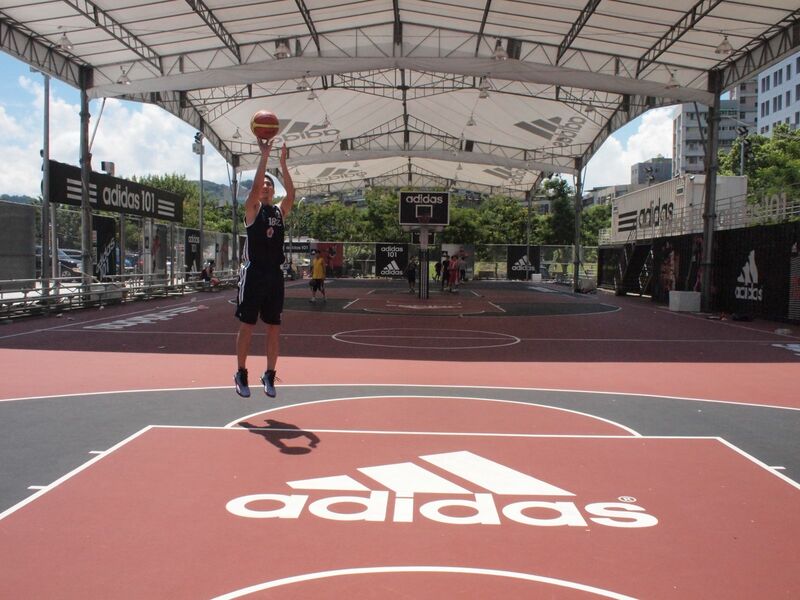 However, in terms of the “feel” of a jump shot, it is really light and smooth. 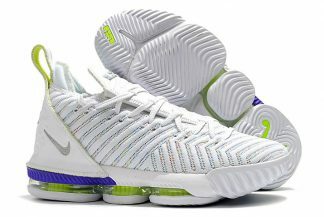 Overall， this is a pair of excellent works that break the traditional basketball shoes’ light weight and stability. They can fully demonstrate the performance,but they have a high degree of protection for their feet and cut into “lightness”. 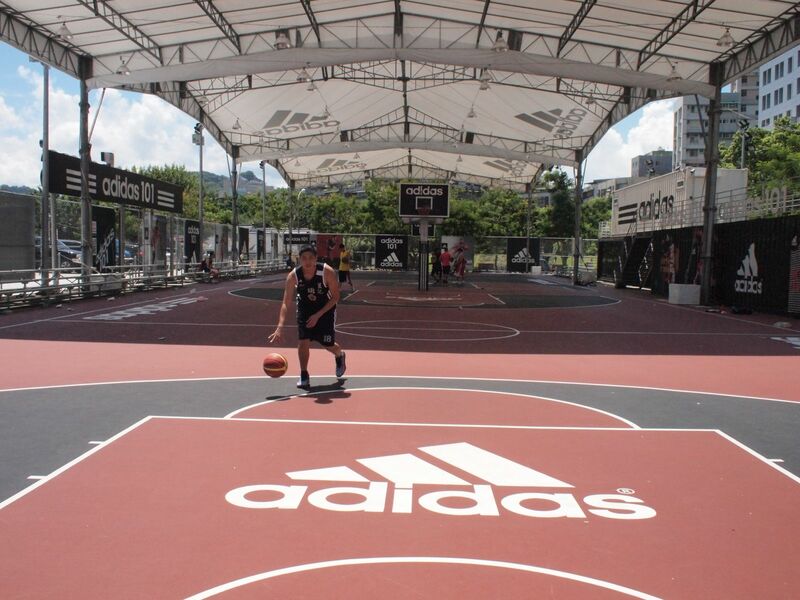 The running position is “flexible” and the bounce “stable” meets the needs of various actions on the basketball court. 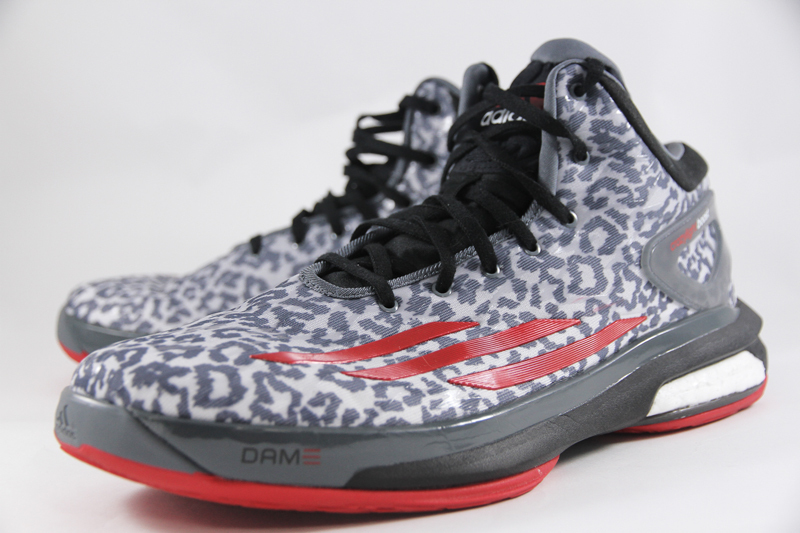 With the blessing of Damian Lillard’s star charm, wearing Crazylight Boost is indeed infected by Lillard’s magic.It is worthy for it .